When it comes to a wedding band, you have more options than you think. Maybe it’s because the engagement ring get so much attention, but when it comes time to pick out the wedding band, most couples opt for a standard plain band. I have always pushed my clients to think outside of the box. Usually after I show them a few ideas, they happily follow down the more creative path. 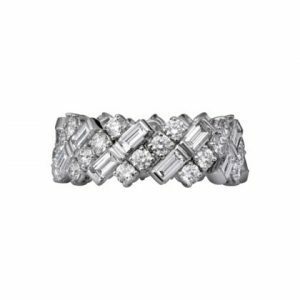 Because of my genuine love for jewelry and design, this latest trend in diamond jewelry has me ecstatic. 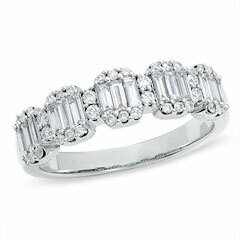 More and more couples are now choosing to create their wedding band with a mix of different diamond shapes and sizes. 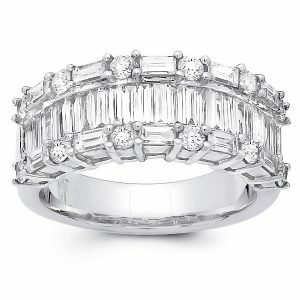 The end result are stunning rings with a unique flare. The clients gets to choose the stones, pick the precious metal, and design the pattern on the ring. It does not get much more creative than that. 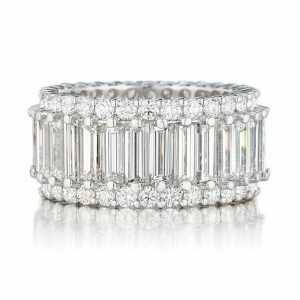 To be fair, this trend might have been started from a stunning ring that was designed by Cartier. This ring features round diamonds and baguette diamonds in an angled design. Think twisted diamond staircase. The diamonds are prong set and the result is just amazing. 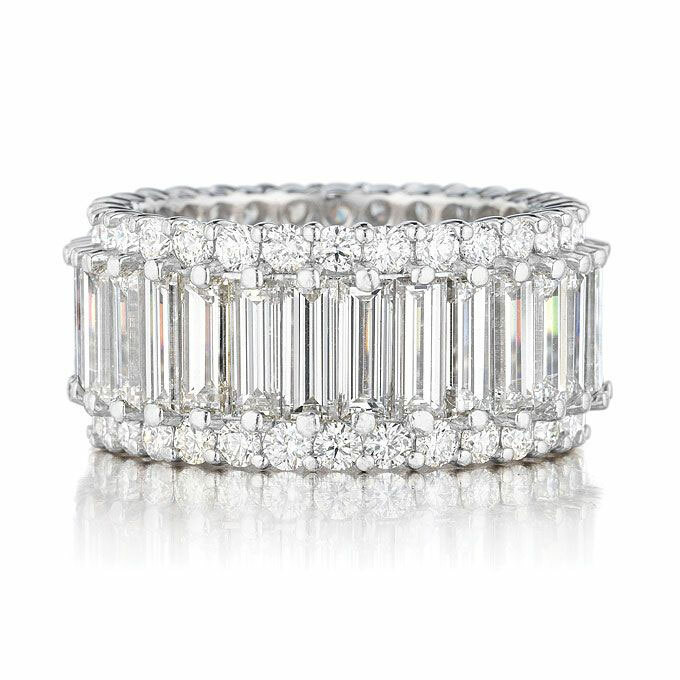 For the most part, the baguette and round diamonds seem to be getting the most play. Lately, we are creating at least one of these rings a month. However, the possibilities are endless. With so many diamond shapes to choice from, designing a custom ring is only as limited as your imagination. And the cost of these rings is not as expensive as you might think.